As it hits Day 4 of the Olympics, most of the talk has been surrounding the USA swim and gymnastics teams, and whether or not they are competing at the level that many people want them to. But let us focus on athletes who have not gotten as much attention–mainly the USA Women’s Basketball team and, for us here at the DCJCC, one of the players, Sue Bird. 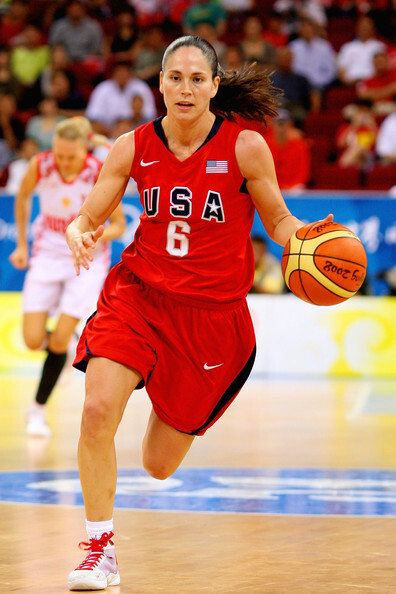 Sue Bird, who currently plays for the WNBA team Seattle Storm, holds a dual citizenship to both the USA and Israel. The USA Women’s national team has so far cruised in their first two games of the preliminary rounds. Not only do we have Sue Bird to root for, but in the Women’s Gymnastics team final, we have yet another athlete to cheer for: Aly Raisman, who is competing for Olympic gold tonight and in the next few days for the All-Around Gold medal in gymnastics. In this year and years past, many Jewish athletes have medaled in the Olympic games. Join us here at the DCJCC as we start our very own fitness challenge next week–we’ll walk, bike, run and swim the length of England to meet our athletes at the games.